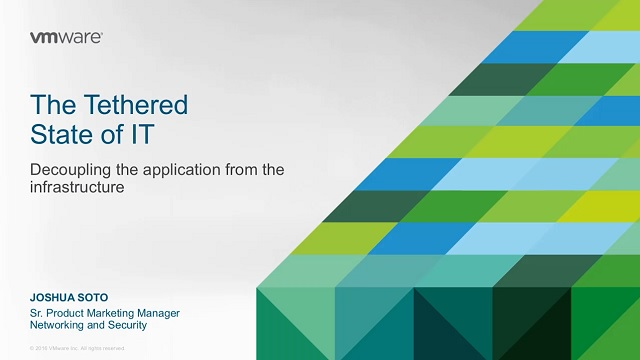 Improve your degree of effectiveness and efficiency with VMware NSX as it transforms your data center operational model. We will discuss NSX capabilities to simplify infrastructure, reduce risks, automate and accelerate business efforts, and ensure continual operations. By decoupling applications from infrastructure, IT can use network virtualization to deliver better business outcomes, a critical step toward the software-defined data center. Don't miss this opportunity to hear what VMware NSX can do to improve business outcomes as you move toward a fully software-defined data center.